All Four Paws Metropolitan bakery items are made with 100% human grade ingredients. Made with only the finest human grade ingredients its no wonder pets nation wide find them irresistible! 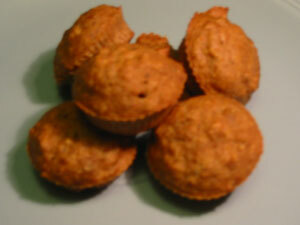 Like all of our Cakes these yummy organic treats are in the shape of little cupcakes and are made to order. They make a wonderful gift!. 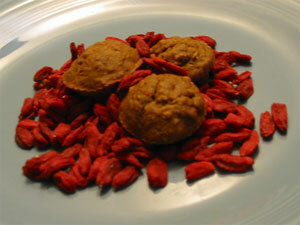 Yummy organic goji berry hempseed treats in the shape of little cupcakes. Like all of our Cakes these yummy organic treats are in the shape of little cupcakes and are made to order. They make a wonderful gift!. 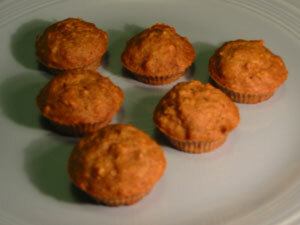 Yummy organic pumpkin treats in the shape of little cupcakes. Like all of our Cakes these yummy organic treats are in the shape of little cupcakes and are made to order. They make a wonderful gift!. 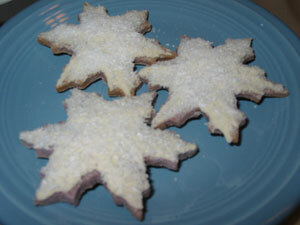 Yummy organic blueberry cookies in the shape of snowflakes. Just like everything we sell, they would make a wonderful gift! The current minimum order is two dozen. 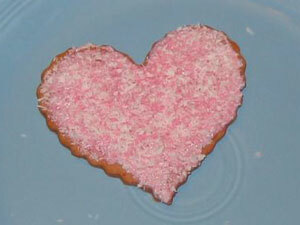 Yummy organic peanut butter cookies in the shape of hearts. Just like everything we sell, they would make a wonderful gift! The current minimum order is two dozen. Cake Storage: Remember these treats have no preservatives so the sooner they are consumed the better! We recommend they be kept in an air tight container preferably in the fridge. They will remain good for up to six months in the freezer, up to four weeks in the fridge, and up to two weeks on the counter. Cookies Storage: Just like all of our treats these have no preservatives so the sooner they are consumed the better! We recommend they be kept in an air tight container preferably in the fridge. They will remain good for up to nine months in the freezer, up to six weeks in the refrigerator, and up to four weeks on the counter. We recommend you store them in an air tight container in the refrigerator and use within three weeks. Custom Treats: Does your pet have allergies or special needs? NO PROBLEM! If your pet can't enjoy any of our treats due to ingredients please let us know, we don't want your best friend to miss out on all the organic goodness and we would be happy to create a treat just for them! Simply contact us with the specifics about your pet and we'll get right to it!